No.3 will be closed on Good Friday, but don’t worry, shopping resumes on Saturday from 10am until 4pm…phew! Situated in the heart of Hartley Wintney, No.3 is the must go to place for fashionistas who love beautiful things and just adore a bargain. 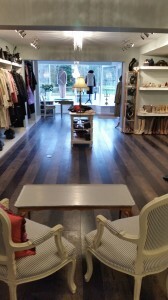 Our stylish boutique stocks pre-owned, high end and designer label clothing, shoes and accessories for women. We only deal with items in good or excellent condition including ones that have never been worn. Whether you are looking for a gorgeous evening dress, designer jeans or a hat for Ascot it’s always worth coming in and perusing the rails. Designer labels such as Jimmy Choo, Chanel, Missoni, DKNY, Max Mara….the list is endless! Searching for that must have bag or jacket…let us know and we will include you in our wish list book and help you to find it. Follow us on facebook for a few of our latest items….